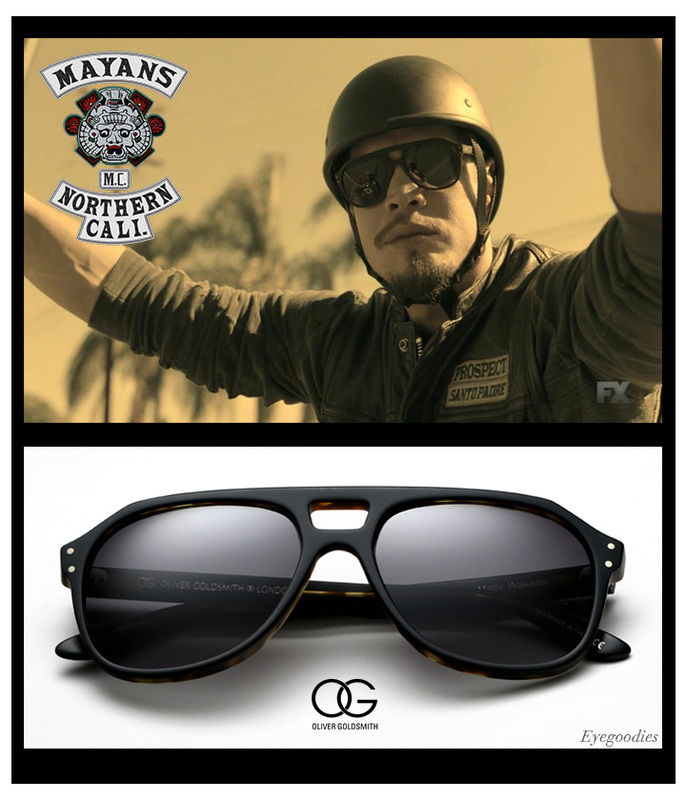 JD Pardo (Ezekiel ‘EZ’ Reyes) wears the Oliver Goldsmith Glyn (1971) – Matte Wakame Sunglasses in FX series Mayans M.C. After watching the FX series Mayans M.C., we couldn’t help but notice the sunglasses of the character Ezekiel ‘EZ’ Reyes, played by actor JD Pardo. 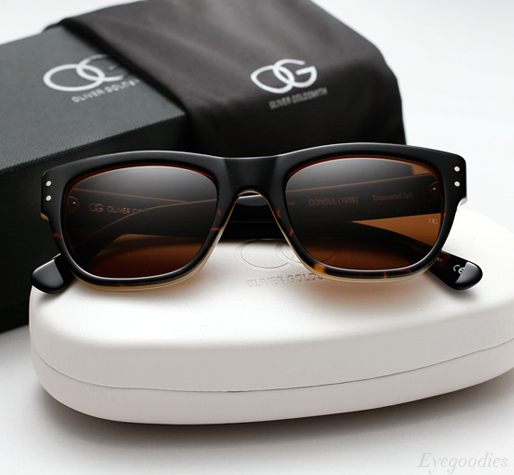 The classically badass shades are the Oliver Goldsmith Glyn (1971) in the “Matte Wakame” colorway. 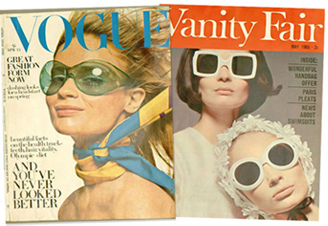 According to Pardo, he wanted something with equal parts “class and style for EZ” that gave off vibes of the iconic frames worn by Paul Newman. The Oliver Goldsmith Glyn is a well-fitting plastic aviator that is a perfect embodiment of the decade. 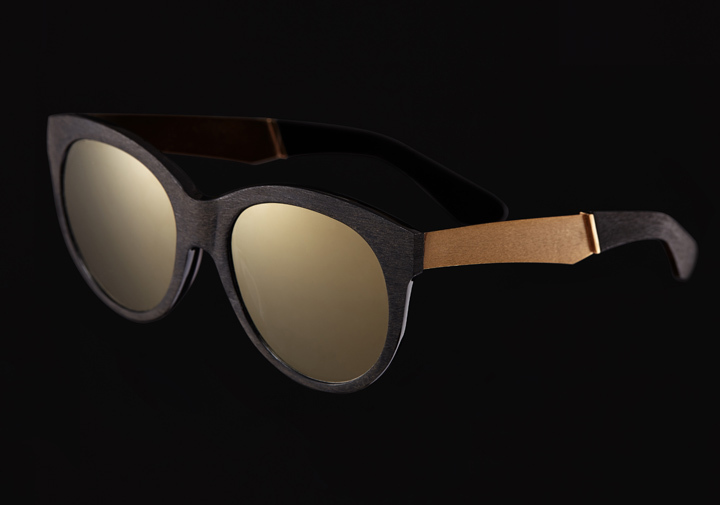 Handmade of the finest Italian acetate, it features a unique cut-out at the bridge, 5-barrel hinges for strength and durability, and real hand drilled riveted hinges with exposed circular pins. 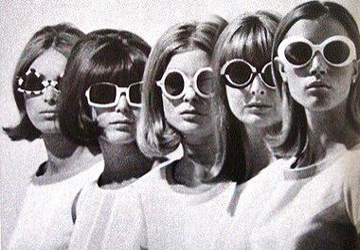 One of the most memorable frames in sunglass history, an Icon re-released! 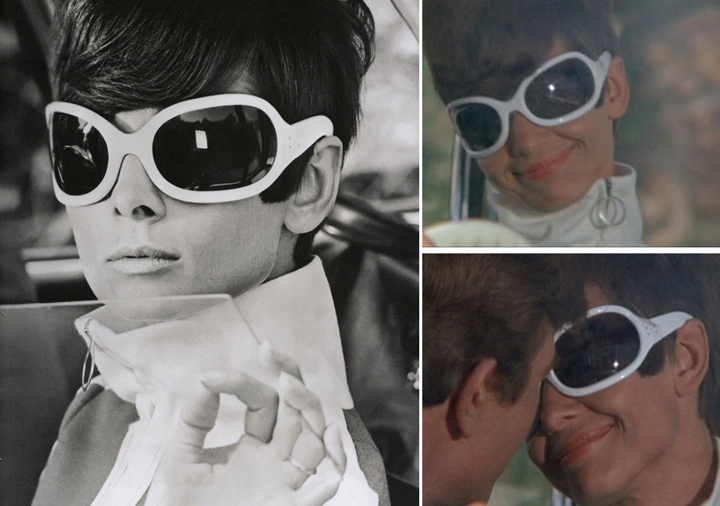 The Oliver Goldsmith Yuhu was originally made for Audrey Hepburn in 1966 for the movie “Two for the Road”. Hepburn famously wore it in white but also more subtly in black, during the film. 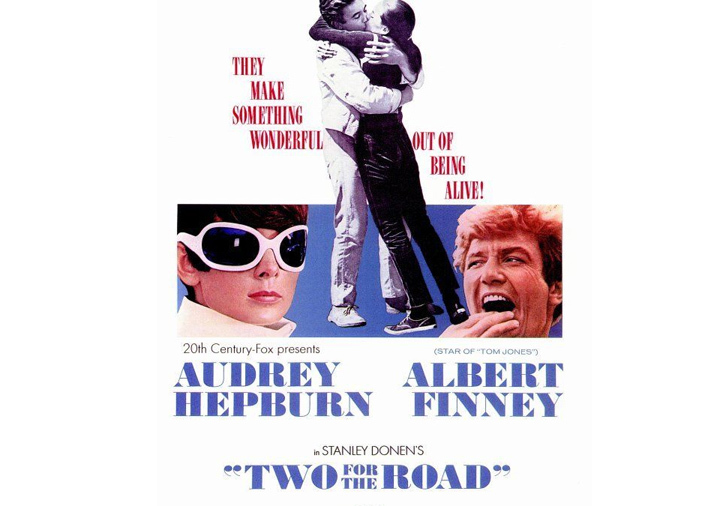 Featured on the movie poster and heavily in fashion press throughout the mid 60’s rocketed this frame into iconic status. Now after several decades and many requests Oliver Goldsmith has re-released the YUHU. A true to form down to every last rivet, this is a showstopper if ever there was one. 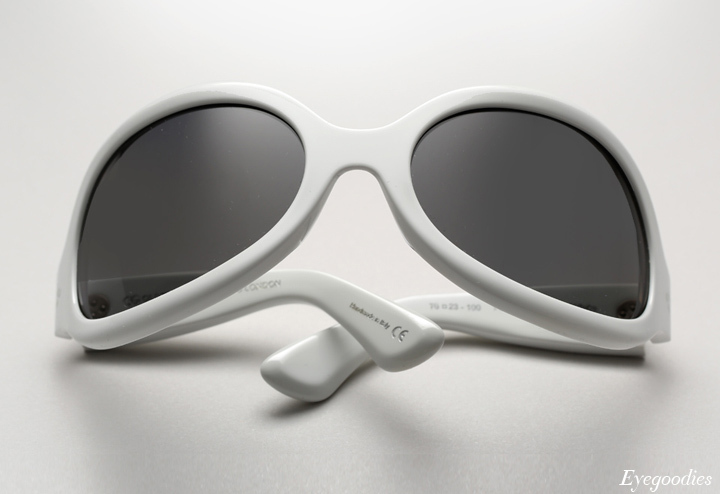 Worth noting each frame comes complete with a luxe leather snap case specially made for the release. Turning 90 can be a wonderful thing. 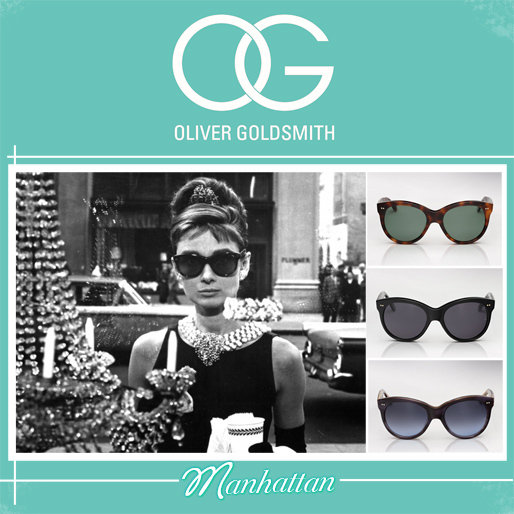 Especially for the family-run British company Oliver Goldsmith, responsible for creating some of the world’s most iconic sunglasses. And what better way to celebrate 90 trailblazing years and the start of a new decade than with a limited edition capsule collection? 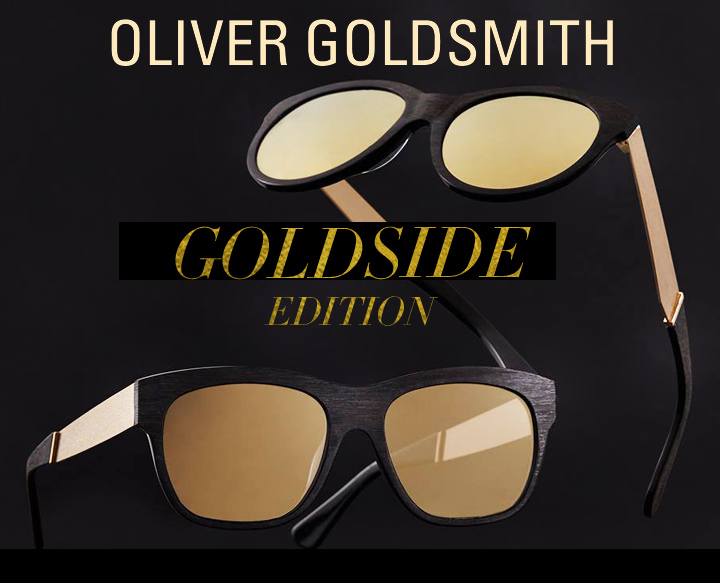 We present the Oliver Goldsmith Goldside Edition. Two of their most beloved styles, the MANHATTAN and LORD, are all done up in raw grained black acetate, gold metallic temples, and finished off with flat gold flash mirrored lenses. Lending an elevated and striking look to the timeless designs. Be warned that supply is limited on these, as only 500 pairs were made worldwide, so once sold out that’s it. 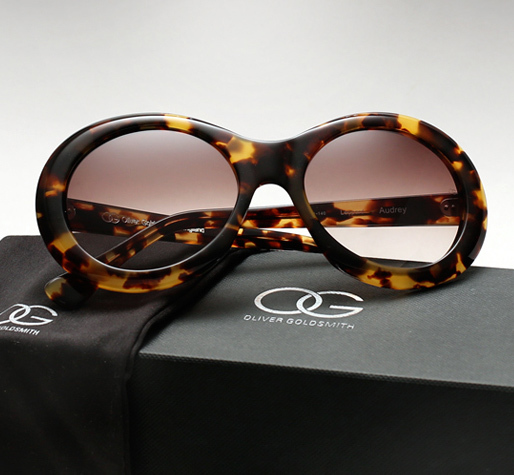 After the successful launch of Oliver Goldsmith sunglasses here at eyegoodies last week, we are very excited to present some of our favorite styles from our second shipment. You will find nothing derivative here, just inspiring design — encompassing stunning colors and original shapes, all meticulously handcrafted. Each frame has its own history, personality, and beauty.